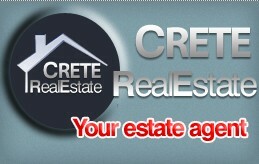 Crete Real Estate and Construction, is a young and dynamic company. We are based in Kavros, Georgioupoli and work with appointment only. Our main goal is to assist our clients personnaly and directly, to listen carefully to their requirements and to do our best to make them reality. Because one agent can not have all the properties of Crete for sale, we coöperate with other agents throughout Crete to find your ideal property. By managing the process of a building ourselves, this way you are in full control of your requirements and can discuss your ideas and needs upfront, without having misunderstandings afterwards. If you buy a property as an investment and a holiday home, we also offer an after sale service, which can be discussed to your personal needs. We can also offer you our expertise in interior design and have it fully furnished, ready to move in. When you decide to build with us, you will be kept up to date by e-mail of the work in progress, always with pictures to let you know what is going on. We are here to help and assist you in the best way we possibly can to make your dream come true and always keeping in mind to satisfy your needs and dreams. We can assist you in Greek, English, Dutch, French and German.